YAY! Cats struggle with change, so while they will be happy to see more of you in the house the initial transition may cause them to be less than happy about the house suddenly being more occupied. It is also at this time of year where kitty wants to be inside, in the warm and cosy kitty palace you’ve created for them, whereas in the summer they tend to want to be outside in the warm, long nights. As with any new experience, this is all about safe, calm environments and reassuring contact. Here are some tips to keep the season jolly with your cat. indoors with a grumpy detached human? Right, so don’t be one. You’ll get a lot from stimulating their minds into activity and their health and quality-of-life will benefit. 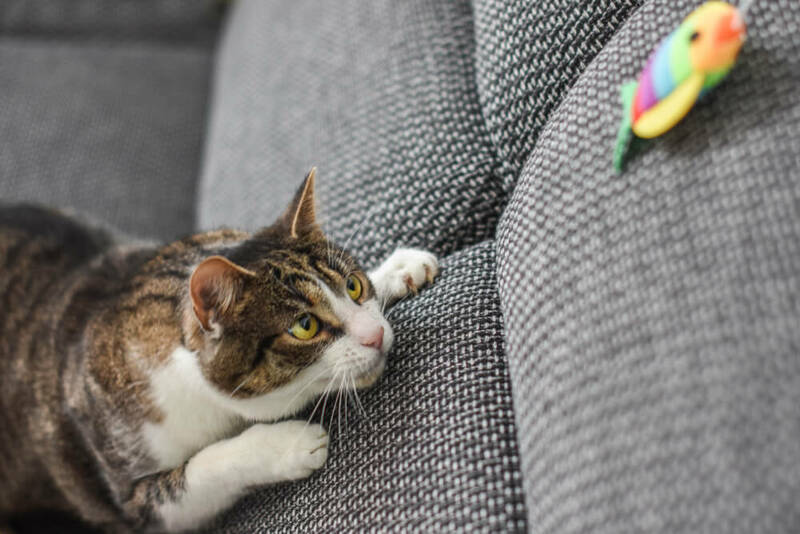 Try making play part of a routine so your cat feels in control of their day and environment. It will become a period they look forward to while they spend hours watching it rain from a bedroom window. Play gives them entertainment and exercise, and it also satisfies their stalking instinct. An interesting fact to bear in mind is that cats tend to want to play most in the evening. 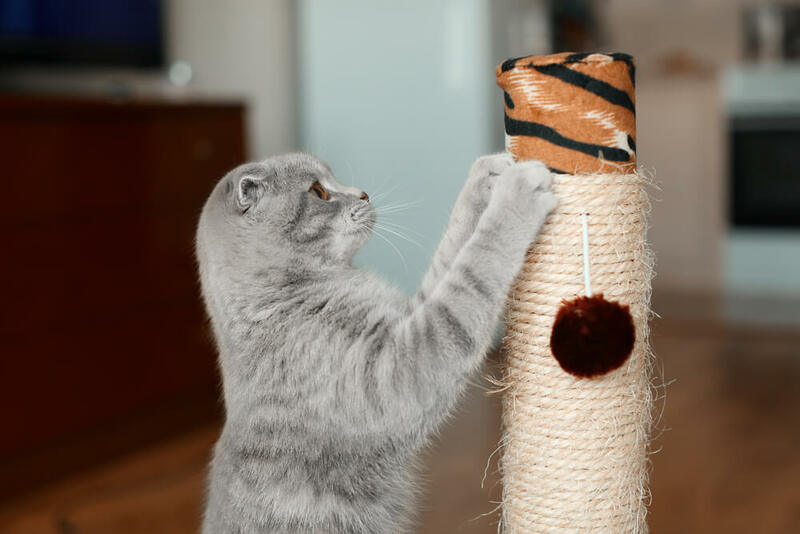 If you’re likely to be away regularly, like at work all day, think about how your cat can stay occupied and entertained without you. Remember, it’s not like they can watch the TV or read a good book… that we’re aware of any way. So why not leave the TV or radio on. Not great for energy bills but the continual audio activity will keep the furry one company. Food puzzles, scratching posts and toys of all shapes and sizes are welcome diversions. A couple of great choices are the cat tree or the paper bag. Paper bags without handles (or cardboard boxes) provide good toys they can rip apart to their heart’s delight. A cat tree (sometimes called a ‘kitty condo’) can be a small hanging frame or something stretching from roof to ceiling. It creates play in unused vertical spaces and where practical, it works well placed beside a window so your cat can travel up for a nice view. In the absence of outdoor play, your cat will appreciate a good spot from where it can watch the birds outside and plan strategies for warmer days. If it gets frustrated by the unreachable prey, then shut the curtains. 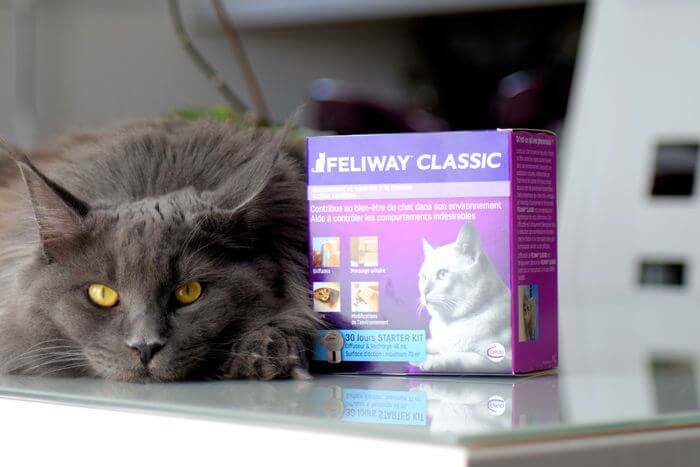 As well as providing scratching posts at good stretching height for your cat, you should plug in a FELIWAY CLASSIC Diffuser that soothes your cat and creates a feline-friendly environment. Cats can exhibit the discontent of being cooped up inside in different ways. Some hide, others pee in unusual and inappropriate places, while others scratch. The FELIWAY CLASSIC diffuser is an ideal solution to help kitty get used to change..
Did you know cats love running up and down the stairs? They also love climbing cat trees or sitting on shelves or counters and surveying their home. They get a sense of security from being high up and it can be a refuge to retreat from noisy human action. Cats are not fans of being dirty (smart little fur-babies) so make sure you clean their litter regularly. In winter they will also want to put on a bit of weight, so keep kitty fed regularly and the water topped up if you have the central heating on. Think of it as you would your own winter coat, it’s cosy, it’s warm, it’s kind of what winter was made for. Same goes for kitty’s extra weight. In winter you have to go a little further to keep a clever cat occupied in body and spirit. You’ll be spending a lot more time together, so bring out the toys you’ve put away for the summer, and put speed, colour and stimulation into your home or lethargy will set in for both of you! My cat is fighting with a neighbour’s cat — how can I help calm the situation? 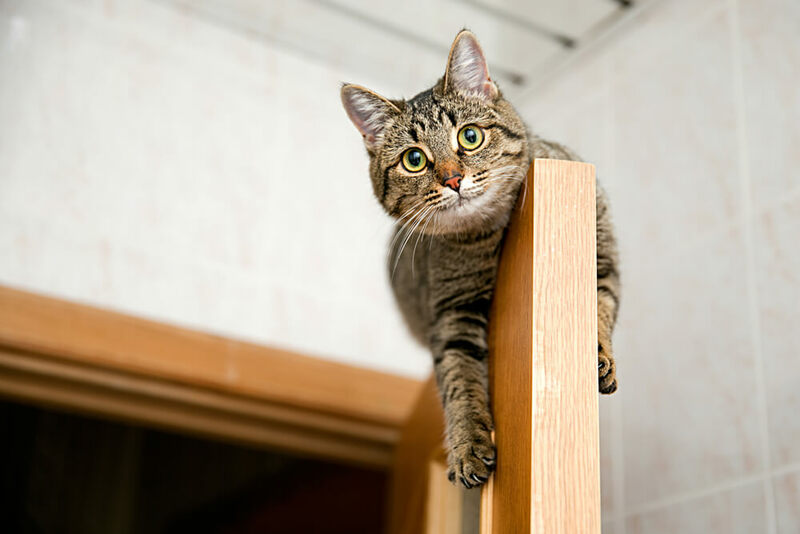 Has your cat suddenly started to do their business in an unexpected place? Does your cat sometimes urinate outside of their litterbox?